Five battlefield parks in Europe commemorate Newfoundland and Labrador's participation in the First World War. Each is built over ground where the Royal Newfoundland Regiment fought. Four of the parks are located in France, at Beaumont Hamel, Monchy-le-Preux, Masnières and Gueudecourt. The fifth is at Courtrai, Beligum. Courtesy of the Rooms Provincial Archives Division (NA 31-06), St. John's, NL. In July 1919, the government appointed Lieutenant-Colonel Father Thomas Nangle, the former Roman Catholic Padre of the Regiment, as Newfoundland's representative on the Imperial War Graves Commission. His job was to decide upon the nature of the dominion's overseas memorials and oversee their creation. Sixteen memorial designs were submitted to Nangle. 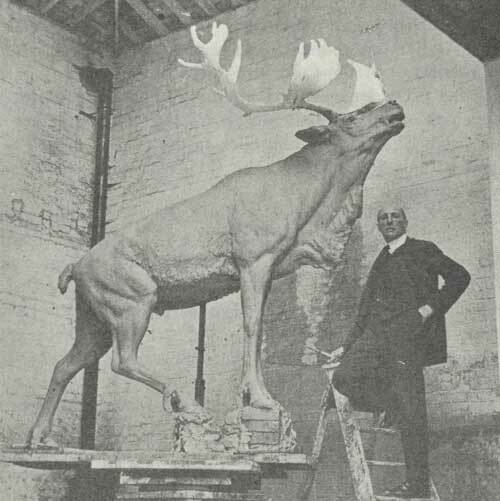 He recommended that the government accept British sculptor Captain Basil Gotto's plan to erect five identical bronze caribou statues at locations where the Regiment played a significant role. 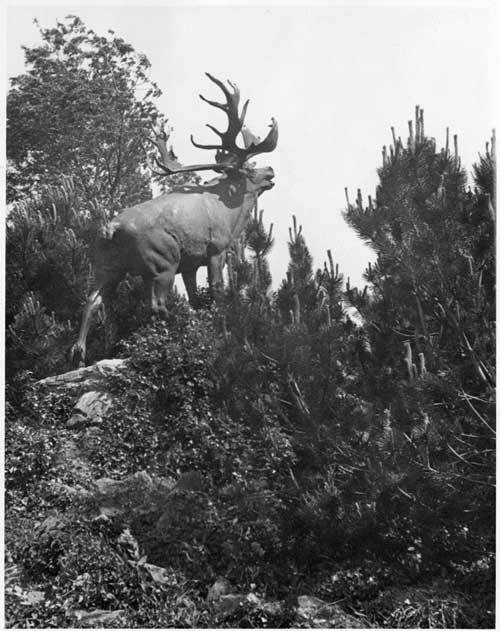 Nangle wrote that Gotto's design was "most distinctive, his idea being a giant caribou somewhat like the 'Monarch of the Topsails' carved in bronze on a rough cairn of Newfoundland granite about ten to fifteen feet high. This will be distinctive of the regiment and of Newfoundland. It will be artistic and cheap, all five being cast from the same mould" (Nangle, "Second" 11-12). The five parks cost approximately £1,000 each. 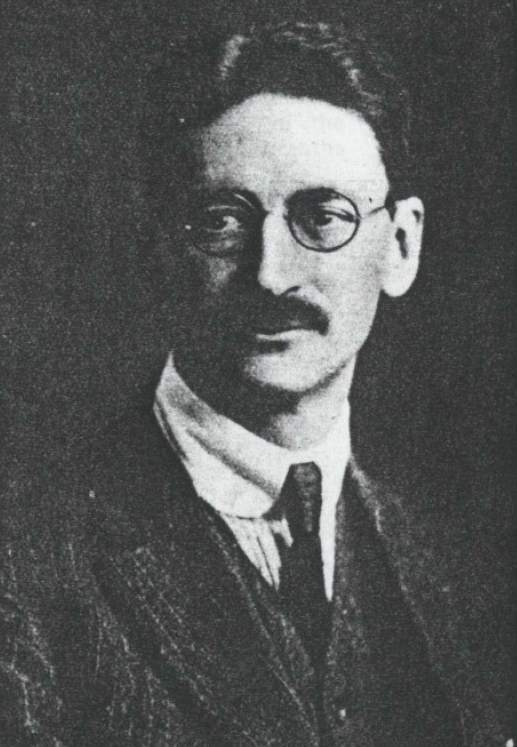 From The Veteran 1.3 (1921): 34. 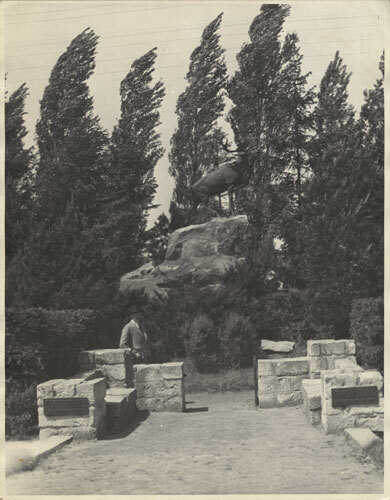 In the end, six of Gotto's caribou statues were cast - one for each of the five European battlefield parks and one for Bowring Park in St. John's. The caribous in Europe overlook the battlefields where Newfoundlanders and Labradorians fought and died. They gaze in the same direction that the men of the Regiment would have faced their enemy. Landscape architect R.H.K. Cochius designed all of the parks, including the one at St. John's. The best known memorial was, and is, the Beaumont Hamel Memorial Park in France. Although Newfoundland could not afford to spend extravagent sums of money, Cochius was determined that the Beaumont Hamel site would rank with the memorial parks of the other nations in the British Empire. Landscape architect R.H.K. Cochius designed all of Newfoundland's overseas memorial parks, as well as Bowring Park in St. John's. The Veteran 4.1 (1924): 17. 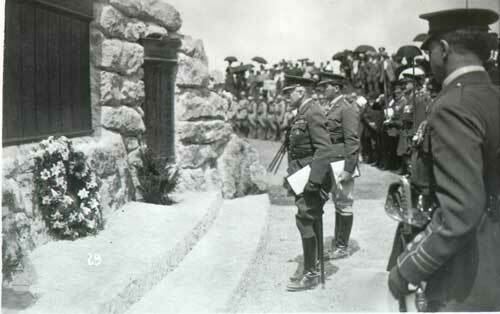 Field-Marshal Earl Douglas Haig officially opened the Beaumont Hamel Newfoundland Memorial on June 7, 1925. The site is dedicated to the memory of the Newfoundlanders and Labradorians who served during the First World War and specifically commemorates those who died and who have no known grave. Its 30 hectares include the Caribou Monument, the battlefield terrain, and three cemeteries. Courtesy of the Rooms Provincial Archives Division (NA 31-03), St. John's, NL. 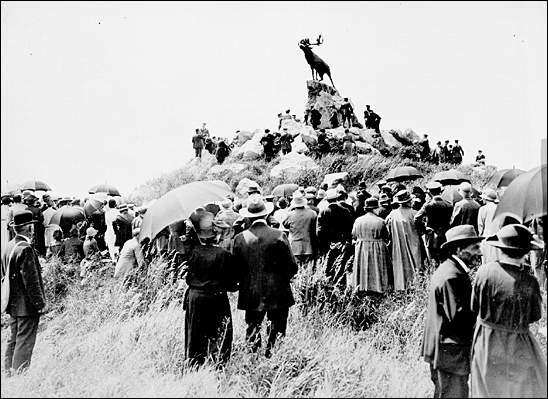 In 1997, the Beaumont Hamel Memorial Site became one of only two National Historic Sites of Canada located outside the country. The other is the Canadian National Vimy Ridge Memorial. Three other Newfoundland memorials exist in France. A bronze caribou at Gueudecourt marks the spot where the Newfoundland Regiment seized the German strongpoint known as Hilt Trench on October 12, 1916. Native Newfoundland plants grow on mounds of earth that surround the statue, and behind it lies a preserved trench line. Courtesy of the Rooms Provincial Archives Division (B 1-79), St. John's, NL. 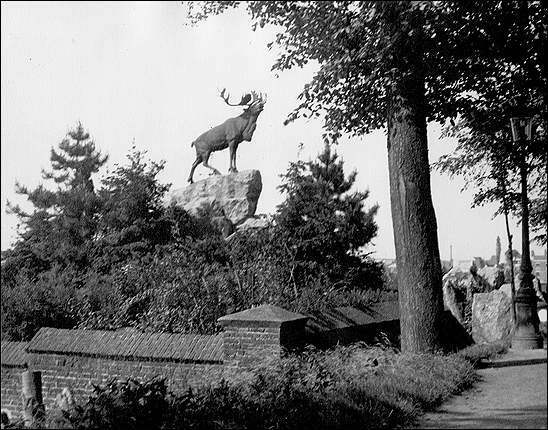 At Monchy-le-Preux, the caribou stands defiantly atop the ruins of a German concrete strongpoint on the village's eastern edge. It gazes towards Infantry Hill from the spot where nine Newfoundlanders held off a powerful German counter-attack on April 14, 1917. Courtesy of the Rooms Provincial Archives Division (B 1-77), St. John's, NL. The Masnières Newfoundland Memorial commemorates the Newfoundland Regiment's role in the Battle of Cambrai in November and December 1917 (a role which also helped to earn the Regiment the title of "Royal"). The site is on the Albert-Cambrai road just outside Masnières. At its centre is the bronze caribou, facing the northeast, where enemy forces made their advance. Newfoundland War Memorial, Masnières, France, n.d. Courtesy of the Rooms Provincial Archives Division (B 1-78), St. John's, NL. Newfoundland's fifth overseas memorial is in Courtrai, Belgum. It commemorates the Royal Newfoundland Regiment's actions in the 1918 Battle of Courtrai and the Hundred Days Offensive. 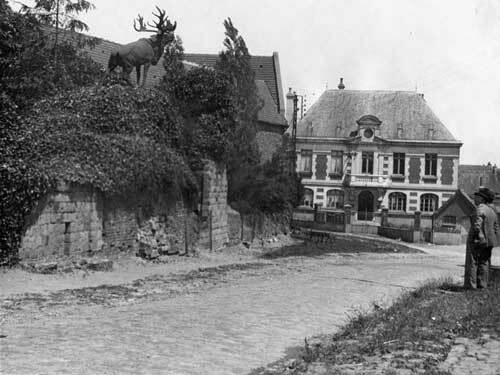 The caribou resides near the spot where the Regiment crossed the River Lys on October 20, 1918. It was the unit's final advance of the First World War. Newfoundland War Memorial, Courtrai, Belgium, n.d.
All five sites remain places of pilgrimage for people from Newfoundland and Labrador who wish to honour the Regiment and to remember the men and women who served in the First World War and in other battles.